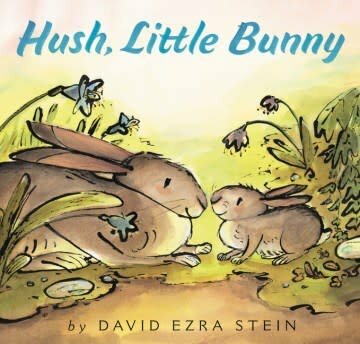 A fresh twist on the classic lullaby—a tender love letter from a papa bunny to his little one—from David Ezra Stein, Caldecott Honor–winning creator of Interrupting Chicken and Leaves. Perfect for Easter, Father’s Day, and year-round. “Hush, Little Baby” is a lullaby that parents have sung to their children for generations. Now Caldecott Honor winner David Ezra Stein has reimagined the classic, featuring an irresistible papa bunny and his little one.